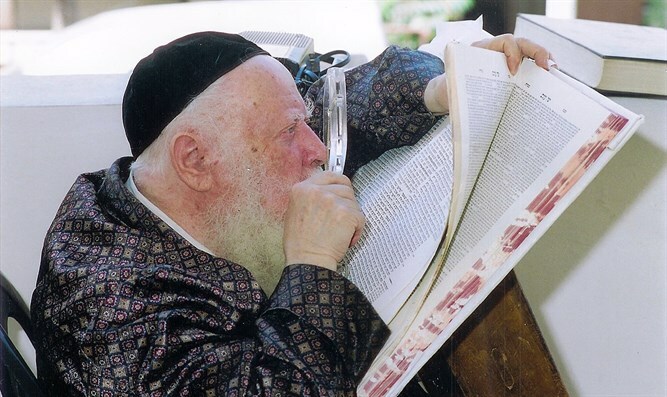 The late Chief Rabbi Avraham Shapira zts"l on the month of Elul –'an eternal period of Heavenly compassion'. Translated into English for the first time for Arutz Sheva. "Lakol zman v’et l’chol chefetz," said Kohelet – “Everything has its season, and there is a time for everything” (Ecclesiastes) Everything has its time; every object has its moment. Yet, certain times are unique, auspicious times of Heavenly compassion. The month of Elul is one such time. There are times when the evil inclination rules, which are unfavorable times for humankind. Before the Torah reading, we ask Hashem to, “save us from the ominous times,” for it is in these adverse times that we do not recall the good inclination, despite the fact that it is exactly what will lead to our salvation. On the other hand, there are favorable times in which the good inclination rules. These are special times of Heavenly kindness and compassion, including the month of Elul. The month of Elul is a time of mercy, a month in which the good inclination rules and we particularly benefit from Divine assistance. As a result, we are able to achieve spiritual heights beyond what we may deserve in a strict accounting of our deeds. Furthermore, the days of Elul retain the quality of Heavenly compassion for all eternity. In Devarim, Moshe says to Bnei Yisrael, “I remained on the mountain as on the first days – forty days and forty nights – and Hashem listened to me this time, as well.” Rashi explains, “As on the first days” – of the first Tablets of the Law – just as they were given with compassion, these are also given with compassion, yet the means through which I stood in prayer for you were caused by anger.” Because the last set of forty days, which were with compassion, began on Rosh Chodesh Elul, it was established for generations that the forty days from Rosh Chodesh Elul through Yom Kippur would forever remain days of Heavenly compassion. It is the power of Torah which enlightens these forty days and imbues them with the attribute of Heavenly mercy. The same great light that shone at the time we received the Tablets remains for all eternity, and has the potential to shine a great light from Heaven during the month of Elul in our days as well. This is the propitious time referred to in Kohelet, “Everything has its season, and there is a time for everything.” The unique quality of this period returns every year in the same month. Just as it was once a special time of compassion and repentance, when we received the Torah and examined our deeds, so it is to be every year. Just as the month of Elul is a month of Torah, so too, it is a month of Teshuva. Both the light of Torah and the light of Teshuva that were revealed at the receiving of the Tablets endure to this day. A covenant of Torah was formulated on Mount Sinai, and a covenant of Teshuva was fashioned as well, both of which exist to this day. Prior to mentioning the Thirteen Attributes of Mercy, we beseech, U’zechor lanu bris shlosh esreih – “Please remember for us the Covenant of Thirteen.” At first, the covenant this refers to seems unclear. Yet, the covenant in question is that mentioned after Moshe’s prayer in Shmot (Exodus), “For according to these words, I have sealed a covenant with you and Israel.” When Bnei Yisrael received the second Tablets of the Law, in addition to the covenant of Torah, a covenant of Teshuva was established, and we were promised that recounting the Thirteen Attributes of Mercy would never be ineffective. The second time the Torah was given, the attributes of mercy, upon which the world exists, were also revealed. Even though Torah and Teshuva preceded the creation of the world, as the Gemara says, “Seven things were created before the creation of the world: the Torah, Teshuva, etc,” before the covenant, they were two separate entities. The Torah was created to uphold the world, while Teshuva was created to maintain the existence of the world. Then, when the second set of Tablets were given, a covenant of Torah and a covenant of Teshuva were instituted, and it was established that the Torah and Teshuva are one. We must approach Teshuva in the same way that we learn Torah, since the two are unified. It is important to note that the concepts of Teshuva are part of the Torah, even a major part of it, and as such, we must study the details and aspects of Teshuva and Emunah (faith) with the same depth and understanding as the rest of the Torah, and not just in order for them to enter our hearts. The Torah is the foundation for all aspects of Teshuva. In Shmoneh Esrei, we say the blessing of Hashiveinu which opens with the phrase, Hashiveinu Avinu l’Toratecha – “Bring us back, our father, to Your Torah,” and only afterwards do we request, V’korveinu malkeinu la’avodatecha – “And influence us to return in perfect repentance before You.” It is only through a true connection to the Torah that we can achieve full repentance. Furthermore, the Anshei Knesset Hagedolah (who established the prayer services) established the blessing of knowledge prior to the blessing of repentance in the Shmoneh Esrei. The Gemara asks, “Why does the blessing of repentance appear after the blessing of knowledge? It is written: “His heart will understand, and he will repent, and he will be healed.” For it is only through knowledge that one can acquire Torah, and consequently attain Teshuva. The words of the Midrash are part of the concealed Torah, and yet it is still possible to learn from them that “Teshuva is secondary to the Torah.” As such, the bearers of Torah would travel in the first camp, while the tribe bearing the flag of Teshuva would travel after them. The source of this is in the receiving of the second Tablets. The Ramban explains that this passuk refers to the time prior to the receiving of the second Tablets. The Ohel Moed was Moshe Rabbeinu’s Yeshiva, and the Ramban brings the insight that “whoever sought Hashem” i.e. any Talmid Chacham, should go out to the Ohel Moed prior to the month of Elul, in the period between the breaking of the first Tablets and the month of Elul. Moshe Rabbeinu took the Ohel, and established his Yeshiva outside the camp. Only afterward did he ascend Har Sinai in order to receive the second Tablets. Here, too, we find the principle that Torah precedes Teshuva. However, we have clearly seen him transgress; wouldn’t the obvious conclusion be to consider him a transgressor? Yet, the Gemara comes to teach us, that with regard to a Talmid Chacham, our “obvious conclusion” should be exactly the opposite. It is unfathomable that a Talmid Chacham would not do Teshuva, for the Torah itself brings about the act of repentance. An Am Ha’aretz (unlearned commoner), according to Rabbeinu Yonah’s commentary on Pirkei Avos, “has some proper, straight thoughts, knows how to guard himself and refrain from sin… and yet he will not attain the high levels of Chassidus. Only a person who is great in Torah [can attain such levels].” Since the ways of the Talmid Chacham are constantly guided by the Torah, if he does stumble and transgress, he is automatically considered to have done Teshuva. The Am Ha’aretz, on the other hand, is unlearned in Torah, and is therefore not automatically considered to have done Teshuva for his misdeeds. Such a level is possible to attain only by learning Torah. We see this idea in Pirkei Avos, “an Am Ha’aretz cannot achieve the level of Chassidus.” Because an Am Ha’aretz is unlearned in Torah, he is prone to extremes. Without Torah, however, it is impossible to become a balanced person. The “middle path” to which the Rambam refers as the straight and honest path, is possible to achieve only if a person immerses himself in Torah learning. Only through Torah can a person attain proper character traits, as the Ramban writes in the name of Rabbi Hai Gaon, “You can only find fear of transgression, as well as humility and holiness among those who involve themselves with Mishnah, Gemara, and knowledge together,” and only through Torah can a person achieve true self-introspection, awakening, and Teshuva. The month of Elul is the month of awakening to Teshuva, and the source for this, as well, is in the receiving of the second Tablets. Both the Rosh and the Tur bring the words of the Midrash, that the Sages instituted the blowing of the Shofar in the month of Elul, as a remembrance of the Shofar blasts that took place on Mount Sinai in this month, prior to the receiving of the second Tablets. Moshe Rabbeinu ascended Mount Sinai, and in order for Bnei Yisrael to be ready to receive the Torah, the Shofar was blown. For over a month, the sound of the Shofar was heard, in order that Bnei Yisrael would be prepared to receive the Torah. This preparation in itself was a manner of bringing honor to the Torah, as we have seen with the laws of Shabbos, where the Rambam rules that the preparations for Shabbos bring honor to Shabbos, even if they are not necessary. 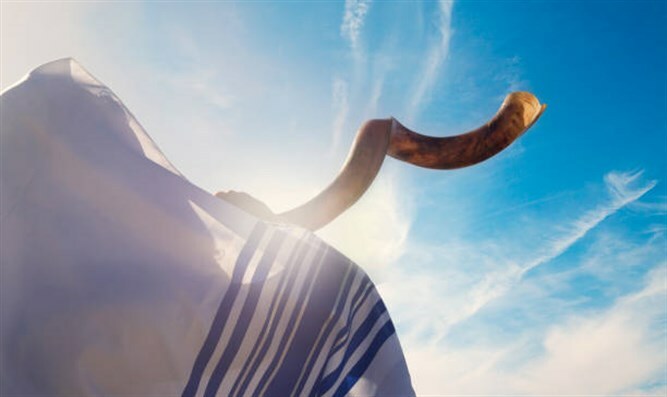 As such, corresponding to the Shofar blowing in preparation of the receiving of the Tablets, the Sages instituted that the Shofar be blown every day from Rosh Chodesh Elul through Rosh Hashannah. The purpose of the Shofar blowing as instituted by our Sages for generations is indeed in order to arouse us to repent for sins of the past. Yet, in addition to that, we can learn from the Shofar that blew at the time of the receiving of the Torah, that the purpose of the Shofar is also to warn us that we should not fall again in sin, and this is part of the fear of judgment. The first time the Tablets were given was in public, as it says in the Midrash, “[The Tablets were given] in public, and so an evil eye took hold over them, and they broke.” Therefore, the second time, everything would be done in a concealed manner. Moshe Rabbeinu ascended Mount Sinai alone, and only the sounding of the Shofar remained in order to arouse the nation to do Teshuva, and fill them with fear and apprehension of judgment, so they would not repeat their sins. This is a lesson for generations, that in addition to doing Teshuva, one must have fear of judgment, as it says in Amos, Im yitaka Shofar ba’ir, veha'am lo yecheradu – “Is the Shofar ever sounded in a city, and the people do not tremble?” There is a need to be prepared to carry out personal introspection. When there are accusers facing the Jewish people, every Jew must check himself to make sure he has no deficiency. As it says in the Gemara, “The parsha of Nazir appears next to the parsha of Sotah [in Bamidbar] to teach you that anyone who sees a Sotah in her deficiency, should restrain himself from wine.” Such it is with any flaw that a Jewish person sees; he is to search within himself to see if he himself does not have any such flaw. The Shofar blowing that preceded the receiving of the second Tablets taught us that we cannot rest even forty days before the receiving of the Torah. Rather, we must examine and guard our deeds, in order to be worthy of receiving the Torah. So it is every year in the month of Elul, when we hear the Shofar blasts, we must awaken and examine our deeds. These blasts refresh our memory and remind us of the fear of judgment that was prevalent at the receiving of the second Tablets. This fear of judgment is a necessary, integral part of receiving the Torah. Translated by Yaffa Chaya Ben-Rachamim from Morasha, the set of books on Torah and Holidays written by Harav Avraham Elakana Cahana Shapira zts"l.